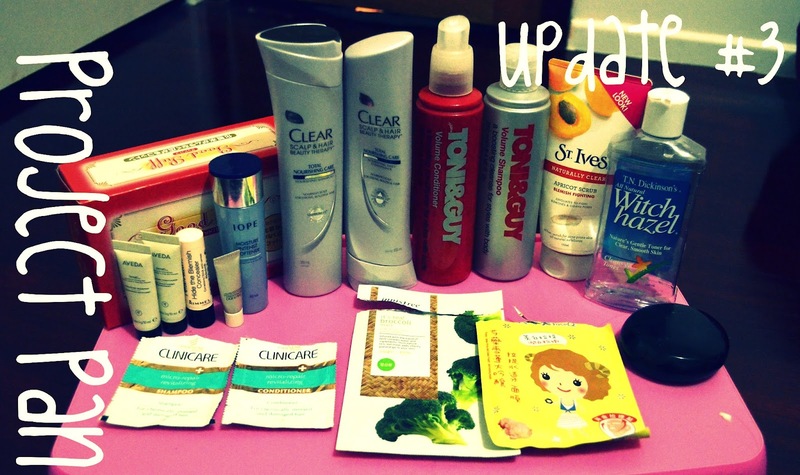 Another month of keeping myself from beauty products hasn't been as hard as I thought. I guess it helps a lot that I knew Courtney was bringing me back some goodies. It seems like this post has a lot of hair products. I finally finished this deluxe sample kit. This softener is amazing. Basically it's a thicker toner used in place of a serum. I found that my moisturisers absorbed so much better using this underneath. My hair was looking a little lifeless and need a little pick-me up so I wanted to start with my scalp. Surprisingly a nice product and left my hair smelling so clean. Worked great with the shampoo and was a nice light finish. This set took me so long to finish. So it sat in my shower for months before I forced myself to use them up. It wasn't bad but it wasn't great either. I have had better volumising shampoos. The scent was also a little weird. Quite chemically but not the nice salon kind. I hated the pump on this conditioner. It would dispense a very thin strip of product so I needed about 5-10 pumps before I had enough to use. Another cotton puff from Daiso. It was ok. Not as soft as I'd like it. This product isn't completely finished, there's about 1/2 a centimetre left. But I'm throwing it away because it is quite old and I definitely would not use it on my face because it would break me out. This is a very high coverage concealer that gets cakey very quickly. Yes it will hide your blemish and all its redness. But at the same time emphasis any dryness around the area. This is probably my 6th bottle of this. I love how my skin feels afterwards. I even use it on my body at times. I get small bumps on my arms and this helps minimise them. I understand why this is such a cult favourite. I found the alcohol content a little drying but with the right moisturiser, this is diminished. Definitely a good product to help with acne breakouts. I'm throwing this away because the casing is broken and the lid doesn't attach to the body any more. Because of this I had already bought another compact and forgot about this one. So the texture of the product has become weird. The powder is now quite solid and can no longer be applied. I actually liked this cream. Definitely moisturising but a little oily. Probably not something I would invest in until I am a little older. I think I got this during one of the Facebook giveaways. I had not tried any Aveda products before now. Both the shampoo and the condition were oddly runny and had an "organic" scent to them. Not overly strong and it did not linger in the hair. One use is not enough to judge on the actually benefits of using these. I got this 3 set sample from Pinchme a while ago. I actually quite liked how the shampoo, conditioner and treatment worked together. My hair felt quite silky afterwards. Once again, it is hard to say with only a single use sample. I threw this out before taking a picture of it. It was in a single use tube which I left in my hair for a couple of minutes. I thought this had a weird/bad chemically scent to it which was quite strong. Courtney thought it actually smelt nice. The sheet itself was smaller than what I was used to but it did fit my face really well. The other issue was that the material was quite thin and tore very easily, especially around the eye and mouth area. I'M SO CLOSE TO FINISHING. Mary this is the best damn idea ever. I'm not much of a spending ban person but this looks like something I could actually benefit from, my skin care drawers are literally overflowing, I've had to start putting things in boxes and stacking them. It's a problem. I'm going to have to consider doing this, I just don't know if I can limit myself to not buying anything unless it's essential lol! It's actually been great. I can actually see the bottom of my drawers now. Haha. You should totally do it. Sticking to what is essential has made me realise that I technically don't have to buy things all the time.